To celebrate his 18th birthday, 2020 five-star guard RJ Hampton decided to make the first major step forward in his recruitment by trimming his list down to five. Combo Guard | 6-5 | 190 lbs. The final schools in contention? Duke, Kentucky, Kansas, Memphis, and TCU. Those five schools shouldn’t come as a surprise. Kentucky, Kansas, and Memphis are the three schools that have received official visits for the elite guard, while Duke and TCU have also received unofficial visits. Now that he has focused his recruitment on five schools, things are about to get interesting. Sources tell KSR that while the narrative out there is that Duke may have a slight lead, all five schools in contention have a shot and Hampton is going to play out this process with an open mind. When he does dive into the nitty gritty of things, I’m told Kentucky will be right in the thick of things until the end. The entire Hampton family is very fond of John Calipari and his sales pitch, which yes, continues to be the ever-popular “Kentucky isn’t for everyone” mindset. With the elite scoring guard being one of the toughest competitors in all of high school basketball, they embrace the fact that nothing would be handed to him at Kentucky and it won’t be easy. The next interesting aspect of Hampton’s recruitment is when he’ll actually be playing college basketball. His name has been thrown around in reclassification rumors over the last several months, and while it’s not a certainty by any stretch, sources tell KSR it is in consideration for the elite prospect. We’ll have more on Hampton’s recruitment on the Monday Insider Notes, and KSR’s Aaron Torres will also be back next week with his own big update on Hampton, so be on the look-out for that. 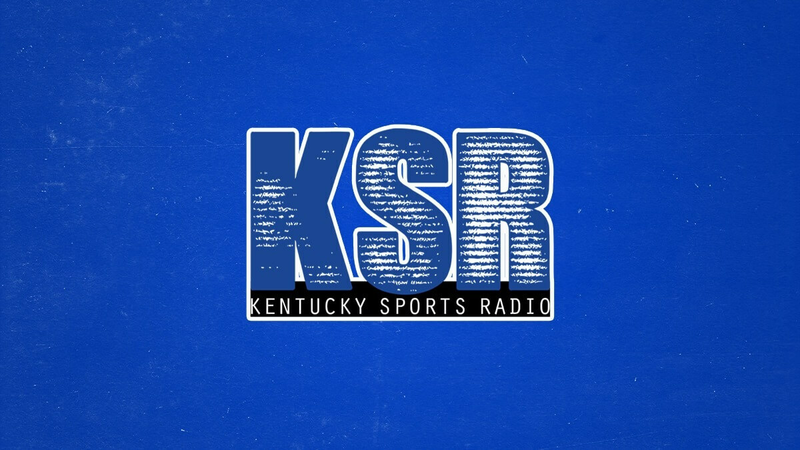 Been following KSR religiously since the beginning. Have always been very appreciative of the one stop, many times daily, free info and updates. The ads have grown exponentially and have blown way past annoying though. But just like this post, so many just leave out little details all the time. In this one I was left wondering ,and rereading in case I missed it, where is he from…? Just that one little fact would have added a little more insight, or thought, of another factor that in the end may possibly weigh in his final decision. Another small bit of info usually left out on game days, what time and what channel? Never forget to print pregame radio time and stations, usually no TV times or channels though. One other thing. I always liked when you guys would get random guest writers from time to time to write post. Literally says where he’s from in the player bio in the article. Also, there’s a really cool website out there called google. You can type, or even say “UK game tonight” and in Jess than a second it will tell you what time and on what channel they play. It is also useful for finding out where people are from. While Kentucky isn’t for everyone, neither is the NBA All Star Game and max contracts: ask Duke alumni. I’m sure Cal is doing a side by side of his one and dones and Rat Boy’s one and dones…I like my team and our UK bankroll. I think it will be Duke in the end. Despite the success of so many UK players here and at the next level, the very best don’t end up here. I now assume UK will automatically strike out until the letter is signed.